Accidental SSB4 Rayman character leak!? This is what video game news is all about!!! The juicy gossip, rumors and leaks. And boy do I have a great one for you! The title says it all! 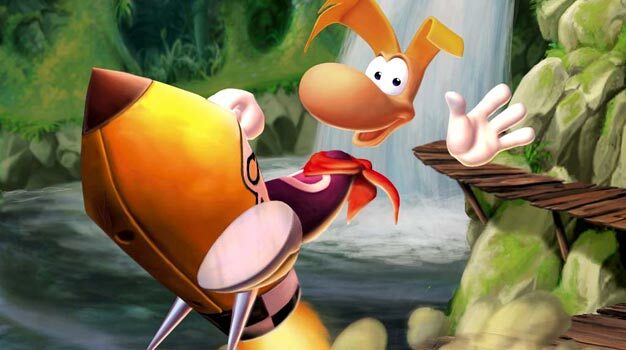 According to a Nintendo Canada spokesperson, Rayman is going to be joining the cast of Super Smash Brothers 4!!!! He let this arousing piece of news slip out while playing with a bunch Nintendo fans at a post-E3 gaming convention. But don’t take my word for it, here’s the video. Just skip to 1:50 and then at 2:13 prepare to hear all the Rayman goodness. Listen carefully though, as he really does just mention it right along with other Smash characters such as Pacman. I leave you with this question TVGB readers, would Rayman even be a good additional to the Smash roster? My answer: Yes. He has the moves and has been around for almost 20 years. I hope we get him.